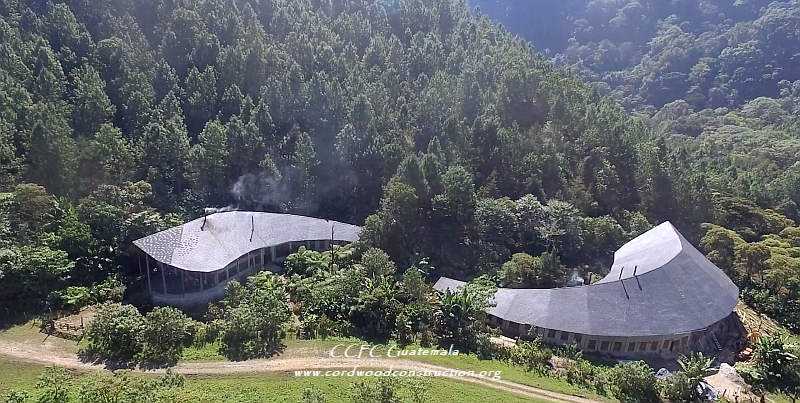 The Large Quetzal was recently finished and it is 95′ long (the largest cordwood building in the world) and has classrooms, a commercial kitchen, a library and dorm rooms for nearly a hundred students. The Small Quetzal is 75 foot long and 40 foot tall on the big end. 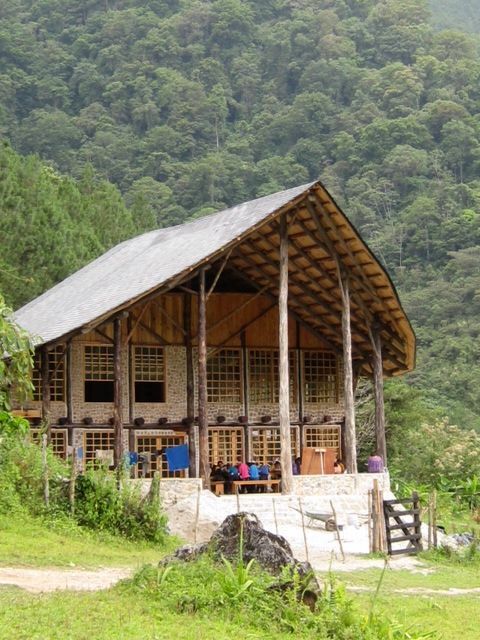 It houses 50+ student for classes, but it also is used for cooking jams, jellies, salsas and local products for distribution on the international market. 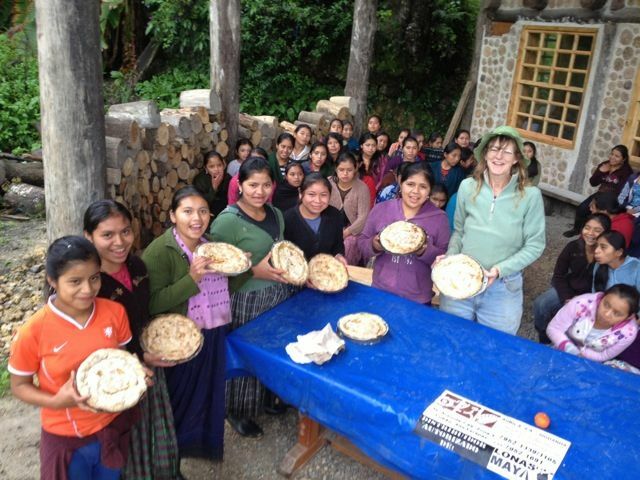 Should you wish to consider contributing a WALC (Women in Agroecology) scholarship for a young lady to attend this life-changing school Scholarship Education is the number one goal at the Community Cloud Forest Conservation (CCFC) School. 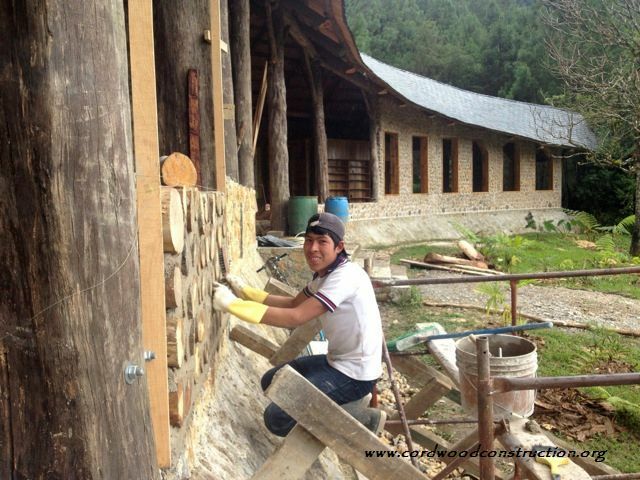 Building the Cloud Forest Conservation School with cordwood construction. 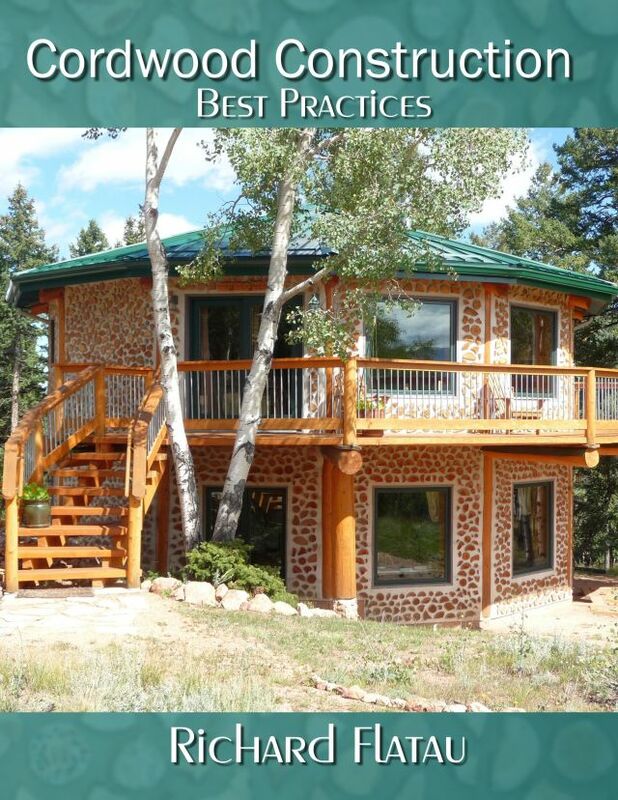 Classes are held in the 40-foot tall open porch. Cleaning the log ends. 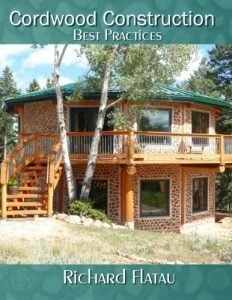 The framing timbers were all non-native Eucalyptus. 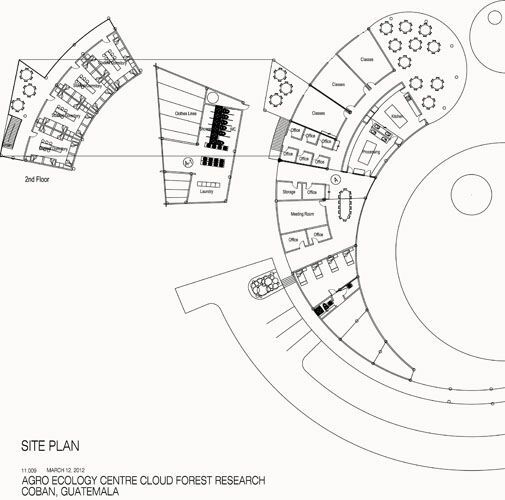 20 trees were planted for each tree felled. 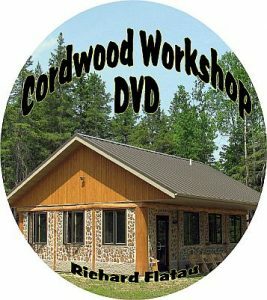 The cordwood infill is mostly local pine. 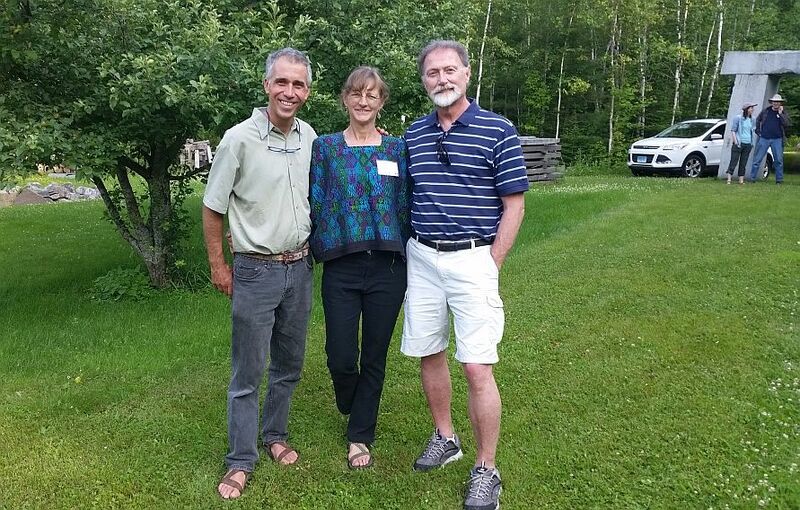 Rob & Tara Cahill and Richard Flatau meet for the first time at the Cordwood Conference at Earthwood in upstate New York on July 12, 2015.